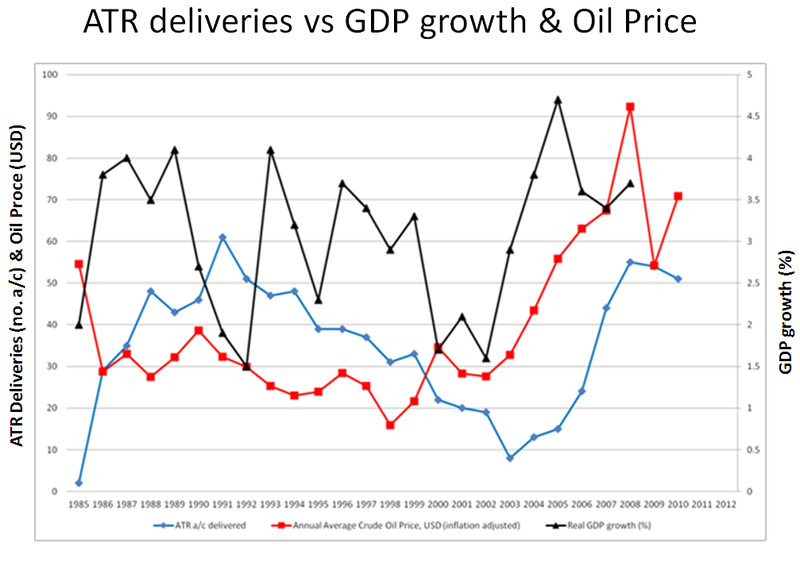 In the last post I discussed about the dynamics of commercial aircraft orders and its correlation with air traffic growth and GDP growth. 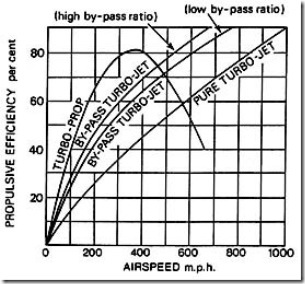 In the previous post, I had discussed about turboprops. Today, I want to connect the two dots in a particular way. I want to show how civil turboprop market is unrelated to the larger and more known turbofan civil aircraft market and how its dynamics are completely unrelated to World GDP growth and thus world air traffic growth. For this purpose I studied the numbers of ATR (using the info available in its website from yearly news releases discussing results). I proceeded in the same way as before, analysing the correlation between the different variables. 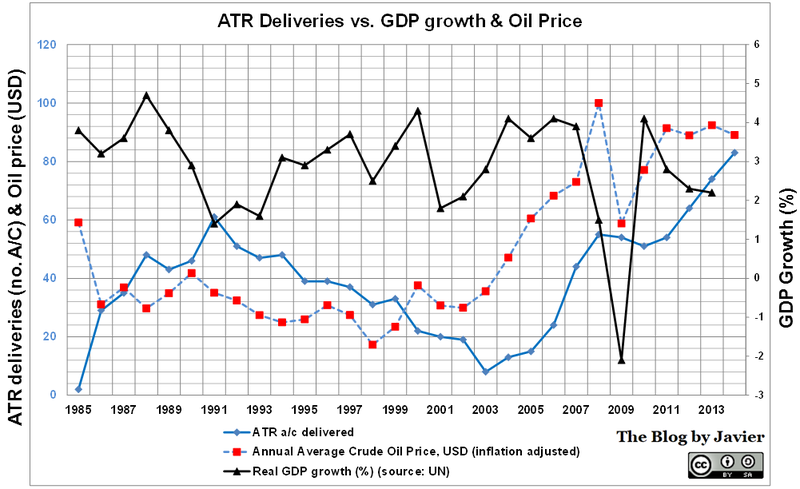 In order to take a larger time span, I used ATR deliveries instead of orders, as I found a larger data set for deliveries (obviously aircraft delivered were previously ordered, lag in between is not that obvious, today’s backlog is about 3 years production). 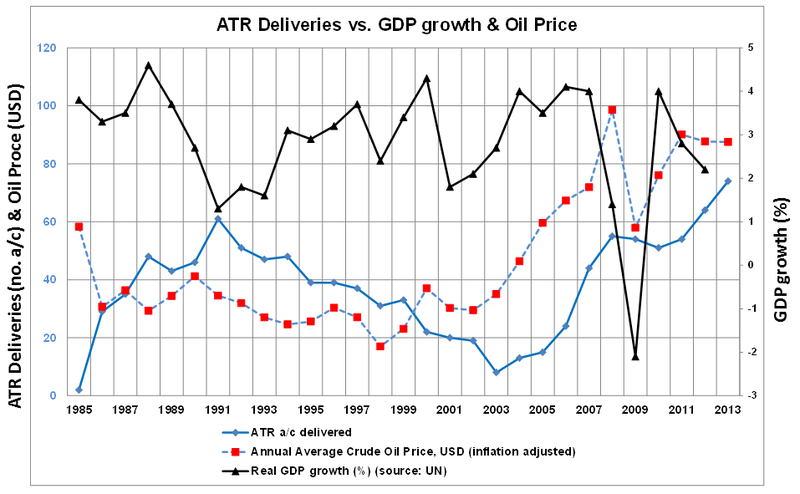 ATR deliveries vs. GDP growth and oil price. This different behaviour of the turboprop market compared to the bigger turbofan market could be explained by the oil price forecasts that airlines shall make each time the oil price goes up. 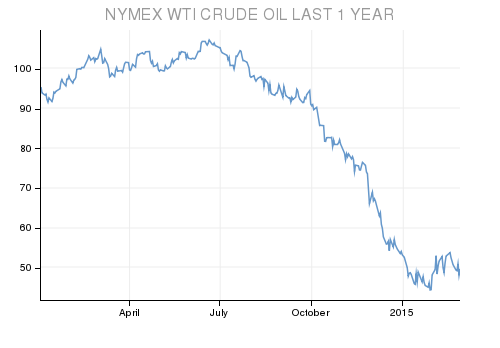 Again, I can imagine some C-suite executive of a regional airline demanding an oil price forecast/report with which to substantiate his gut-feeling that prices will continue to go up and thus turboprops, which are more fuel-efficient than turbofans, will be best suited for their short-haul routes.